A one-time work experience student and a former CID officer have been promoted at Burnetts. 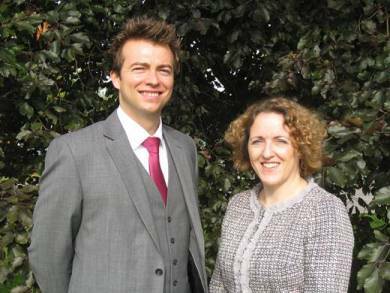 In the latest round of promotions at the Cumbria law firm, the Head of Agribusiness, Richard Miller has become a Partner and personal injury specialist Sue Chappell has become an Associate. Just over a decade ago, Richard Miller was a work experience student at the Carlisle office of Burnetts. A former pupil at Nelson Thomlinson School in Wigton and a Newcastle University graduate, Richard is Cumbrian born and bred. He is a member of the Agricultural Law Society and former Chairman & Secretary of Carlisle Young Farmers as well as sitting on the Cumberland Agricultural Society Council. As Head of Burnetts Agribusiness team and one of the lead partners in the newly formed Energy Team, he is a well-known face throughout the agricultural community and especially at the H & H auction mart which is just a door away from his own office. Sue Chappell joined Burnetts in 2002. She had studied law as a part-time mature student at the University of Central Lancashire while working shifts as a CID officer in Barrow in Furness and, like Richard, completed her solicitor training with Burnetts. Sue, who was born in Middlesbrough, advises clients on potential claims for damages following accidents or injury. She has a special interest in accidents at work and industrial diseases like mesothelioma and asbestosis.